I quite like blurring the line between savoury and sweet dishes. This has been especially fun since quitting sugar 6 or so months ago. What others might consider "savoury" can indeed taste quite sweet to me - including this particular dish with roasted pumpkin, walnuts and coconut. Thus, I'm leaving the door open for you to experiment and make the call whether you'd serve this as a side dish with other salads, as a dessert with some coconut ice cream or just as an afternoon snack on its own, like I did. Whatever the use, the combination of these flavours simply works! 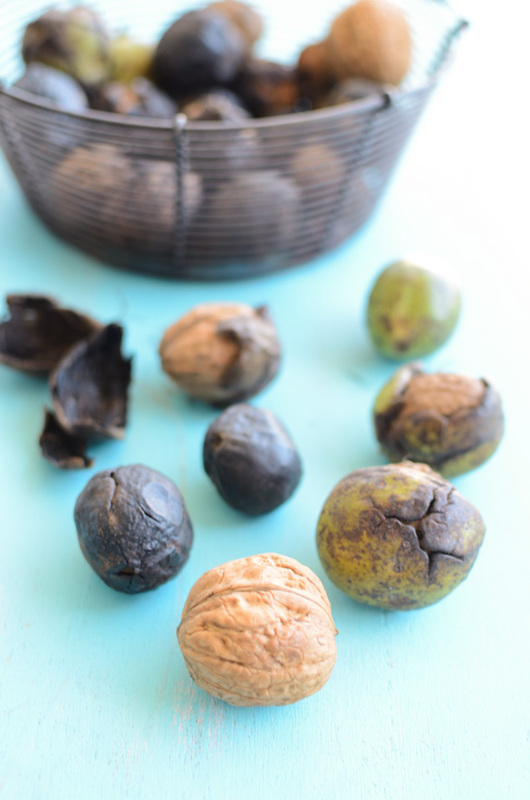 I used walnuts we picked just last week - they are so sweet and they don't have a hint of rancidity, like the older walnuts sometimes tend to have. Pumpkins are of course the highlight of autumn harvest, but you could use sweet potato too, if you like. Feel free to add a pinch of salt if you want to make it more savoury or a tablespoon of rice syrup, if you decide to go the opposite direction. Either way I hope you enjoy! 2. 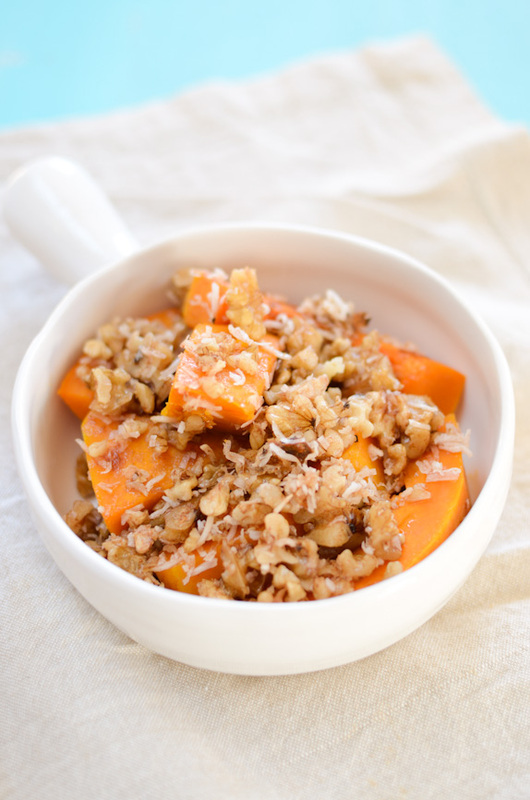 Place chopped pumpkin in an oven dish. 3. 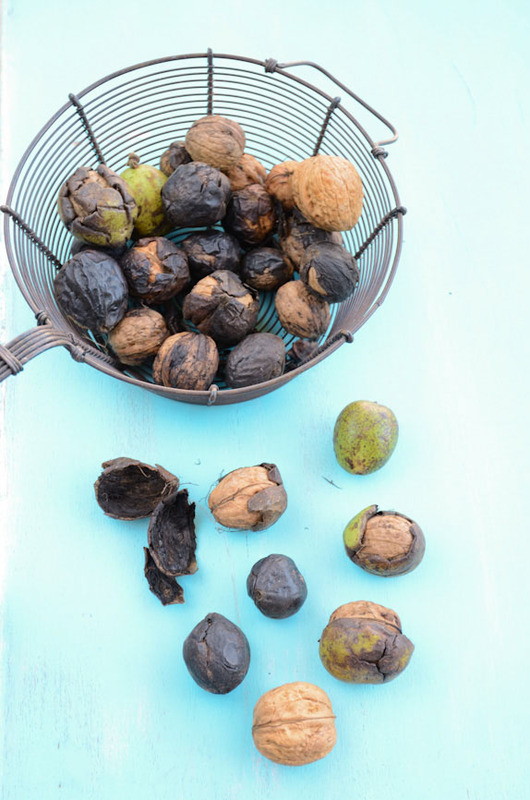 Combine melted coconut oil, roughly chopped walnuts, shredded coconut and cinnamon in a small bowl. Spread the mixture on the pumpkin and cover the dish with a lid or some baking paper to avoid the nuts from burning. 4. Cook for 20-30 minutes or until the pumpkin pieces are tender. Serve on its own, as a savoury side dish or a sweet dessert with some coconut ice cream. Could you maybe recommend some reading/sources on balanced vegan diet? If you can think of something particularly good which helped you in your transition. P.S. Thank you for all your lovely recipes. My favourite vegan author is Colleen Patrick-Goudreau and her 30-Day Vegan Challenge book is a great source of information! She also does a podcast that is very informative. Just heaven Maria! Thank you for this. another lovely dish. Your walnuts look so tasty! Fresh picked nuts... how marvelous! I can't think of a nicer dish to showcase them. This sounds delicious! 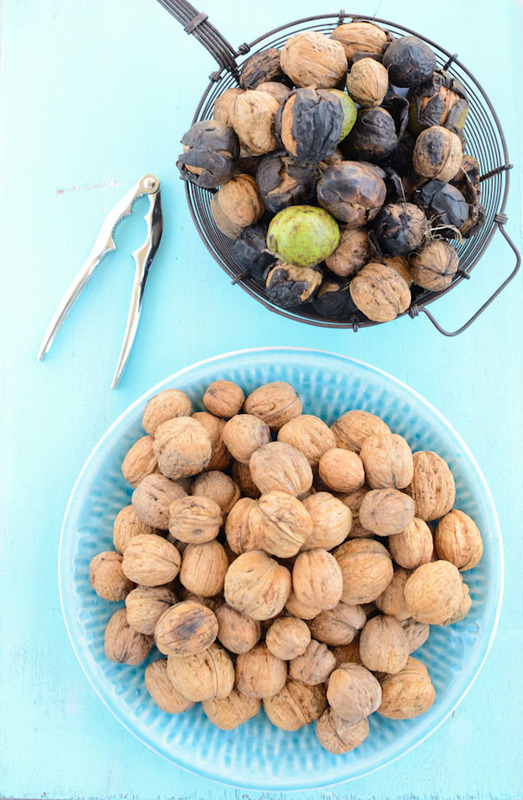 You are so lucky to get fresh walnuts!! What a wonderfully simple recipe. I can't wait to try this.